This weekend was very productive. I managed to get all three receiving blankets finished. They are gifts for my colleagues, each has a new baby boy. I love how they turned out, the colors are fantastic. What did you all get done this weekend? Anything fun? This entry was posted in Uncategorized and tagged baby quilt, baby receiving blanket, Kona Sunset, kona sunset charm pack, Moda Half Moon, patchwork, quilting, sewing, weekend finishes on October 21, 2013 by mlwilkie. 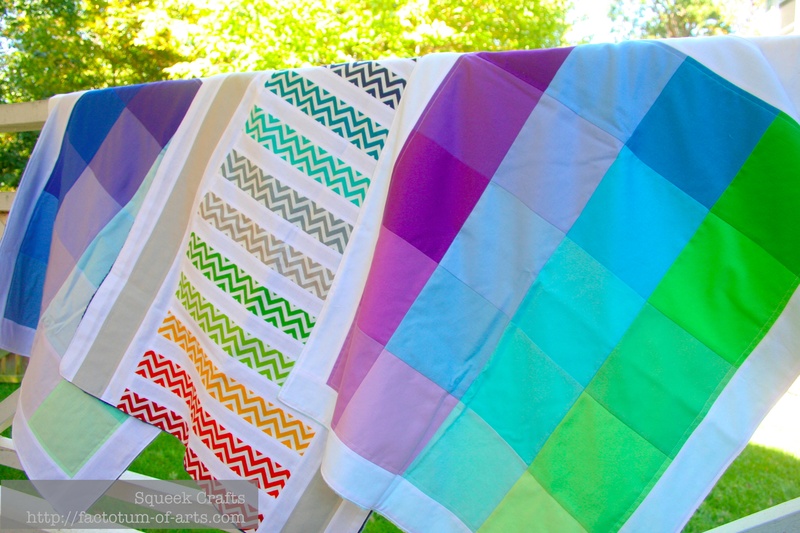 Your quilts are all fantastic and bright and fresh. Love them. 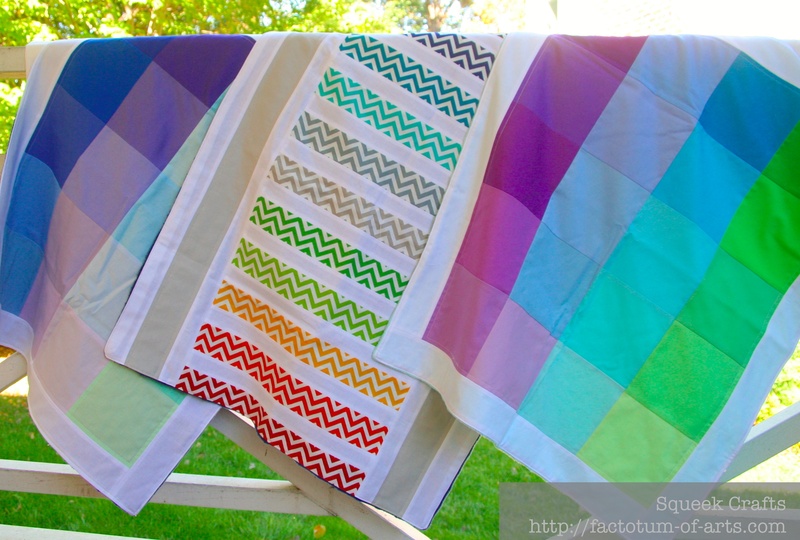 These are such cute little quilts! I love the size. The size makes it a nice quick project. Each one probably takes about two hours and you get a great finish !! I am so happy you like them :-). These are great. I’m sure the recipients will love them. Aside from the mess, how was it sewing with the minky? Not bad, I just pinned every 2 inches and sewed with the cotton side up and it went smoothly. WOW! Super inspiring! Thank you SO much for sharing. What a lovely color rush! Great work. Oh and I agree on the Minky….not a fan….. They all look great, so bright and fresh! Love those little blankets! The colors are so fun. Lucky babes! What a great welcome. I love the bright colors! I’m sure those baby boys will love them, too. Seriously fabulous. I love the bright fun colours. Great job. Thank you, I really enjoyed making them up. such great finishes!!! i want some of your mojo for meeeee. these are wonderful – lucky babies! Those are gorgeous! Such lucky babies!